Today’s music video of the day is for a song that I used to enjoy listening to back when I was living in Vice City. 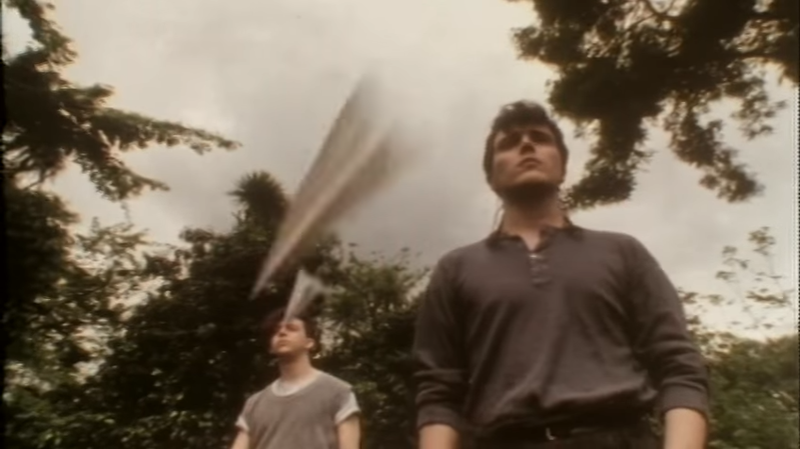 Believe it or not, I used to steal cars just so I could turn the radio over to Wave 103 and listen to songs like Pale Shelter by Tears For Fears. I know I’m not alone. 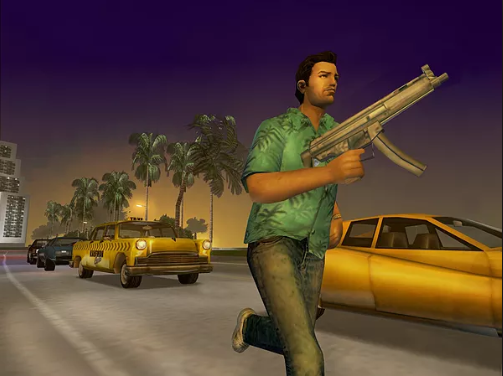 Vice City was a crazy place to live, man. As for the video, it was directed by Steve Barron (who was responsible for several classic new wave videos) and is about weird things happening in Los Angeles. It begins with a classic California scene as a woman in a red, one-piece bathing suit dives into a pool. She’s soon joined by an alligator, which causes her to fly straight into the air. This followed by a police officer directing traffic, a child raising his hand in school, a woman taking laundry off a line, a soccer team celebrating a goal, a blonde stretching in bed, and an airplane flying over an airport. 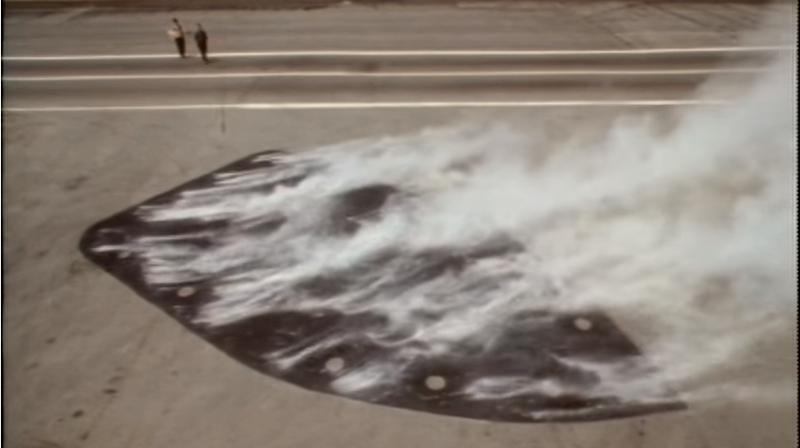 When the laundry woman burns a shirt with an iron, it leaves a giant, steaming imprint in the middle of the runway. 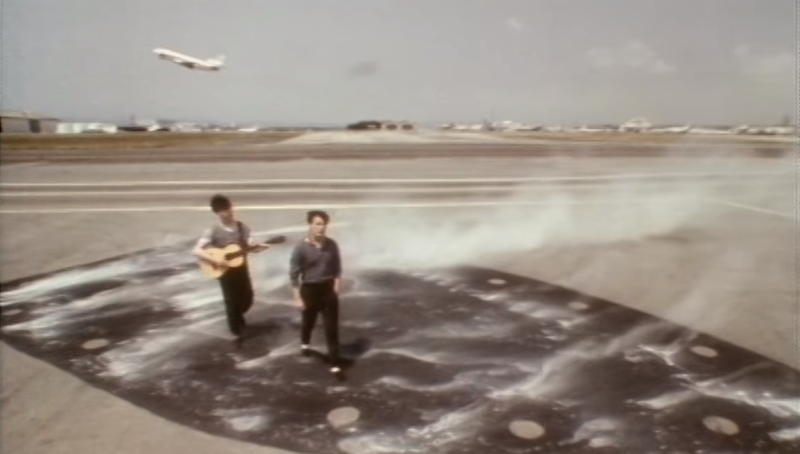 Standing in the middle of imprint, Curt Smith drops his guitar which ruins everyone’s day. The police officer loses his cool. The blonde realizes she’s overslept. The laundry woman panics as it starts to rain. The child in school isn’t called on and retaliates by making a paper airplane that he throws out the window. 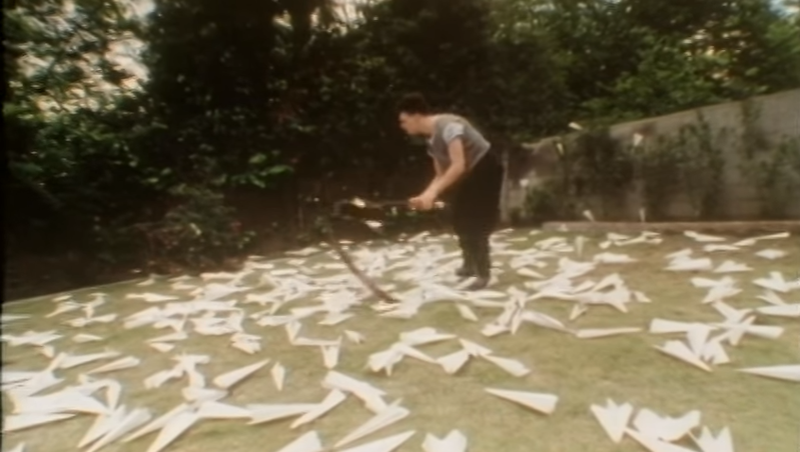 Soon, hundreds of paper airplane are raining down on Curt Smith and Roland Orzbal. Most of them seem to be hitting Curt. Everyone in the video looks up to the sky and things get better. The school child is reunited with the laundry woman. Curt fixes his broken guitar. The blonde gets out of bed, drives her car, and catches the eye of the policeman. The soccer players congratulates themselves on a good game. Curts throw his guitar into the air. Back in the school, all the students start to throw paper airplanes. The alligator gets back in the pool. A paper airplane hits Curt right between the eyes. The woman in the red bathing suit heads back down to Earth while the alligator eats Curt’s guitar. 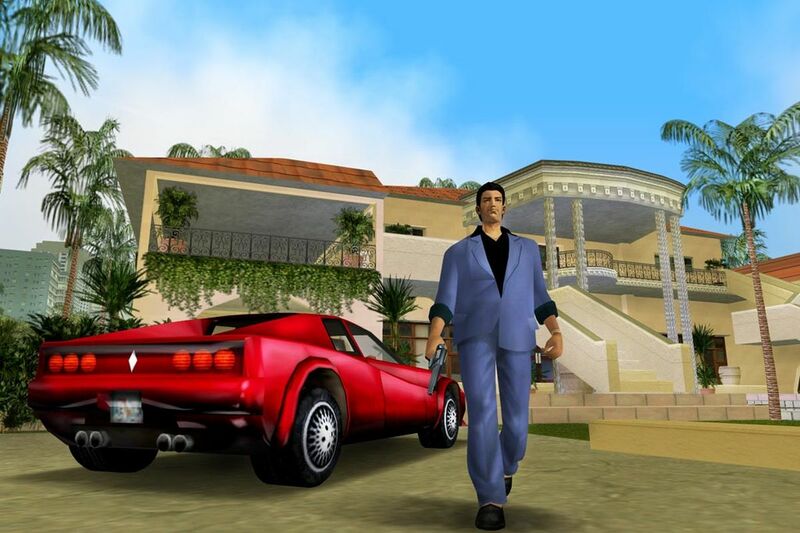 And you thought Vice City was a strange place! This entry was posted in Music, Music Review, music video and tagged Pale Shelter, Steve Barron, Tears For Fears, Vice City. Bookmark the permalink.